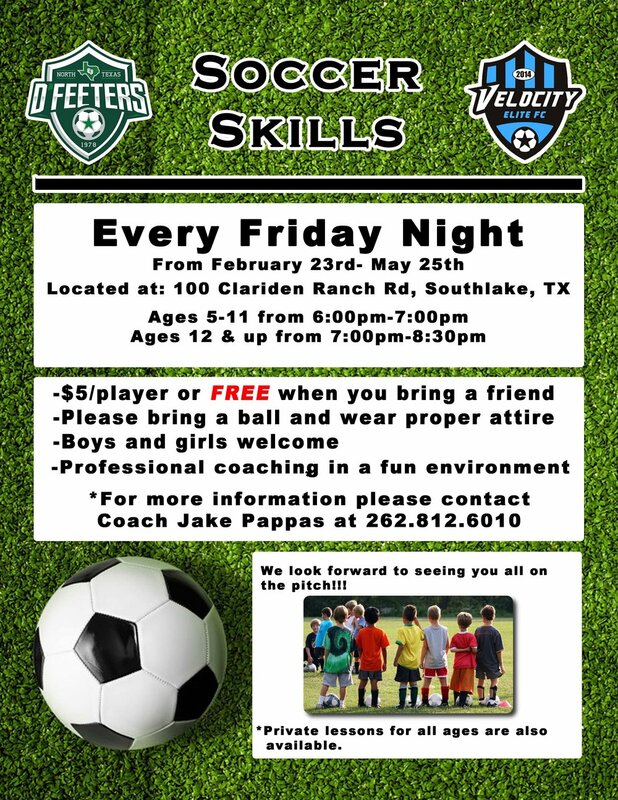 Velocity Elite FC is a Tarrant county based soccer club. VEFC teams train in Southlake. If you are interested and would like more information, please contact coach jake pappas at 262-812-6010.